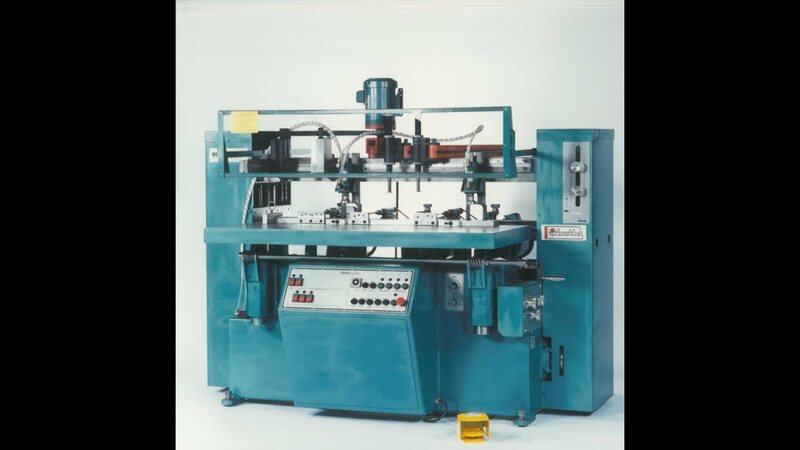 The J40 Combined Vertical and Horizontal Boring Machine is equipped with a fixed but adjustable table. For vertical boring, heads with spindles move up and down, while for horizontal boring the spindle carriage moves back and forth. 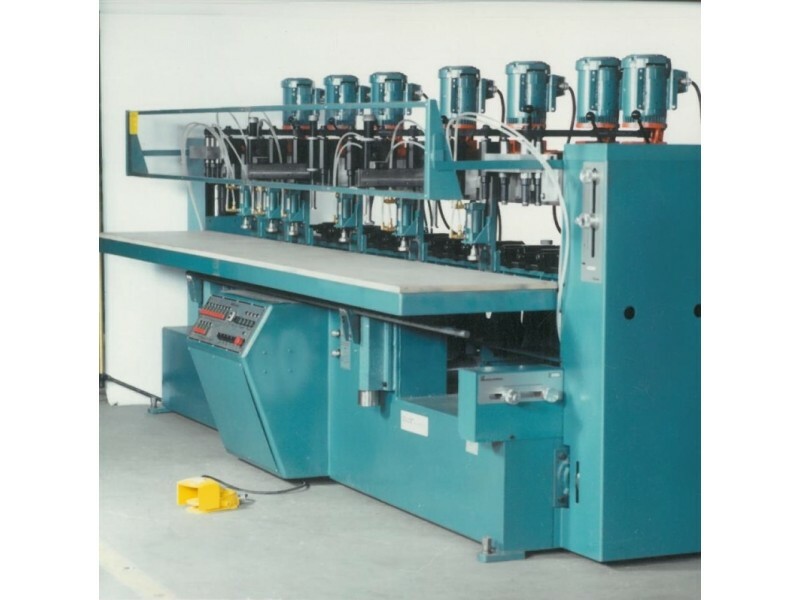 Since the table is fixed, vertical and horizontal boring can be done alternatively or simultaneously and/or the machine can be equipped with an automatic feeding device. Also, either the horizontal or vertical boring can be programmed to remain idle. Vertical spindles and hold-downs can be mounted on individual arms, on a dovetail beam or a combination thereof while horizontal spindles and hold-downs are mounted on dovetail beams. The boring depth and feed speed of the spindle carriage are widely adjustable. 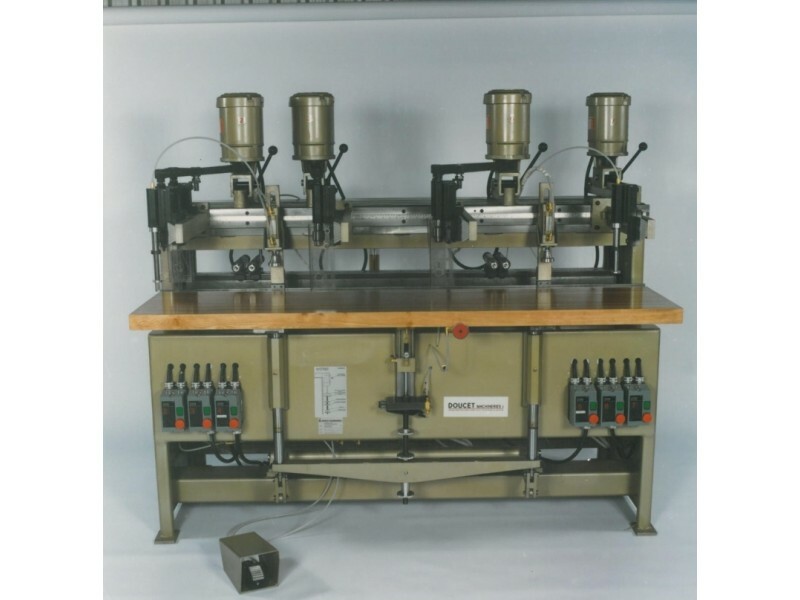 For added flexibility in the boring patterns, spindles and/or clusters are belt driven and powered by 1, 1.5 or 2 HP three phase motors 220, 440 or 600 volts / 60 cycles. As an option, the J40 can be equipped with individual boring units mounted at one end of the table. The J40 is available in 4, 5, 6, 8 and 10 feet widths. 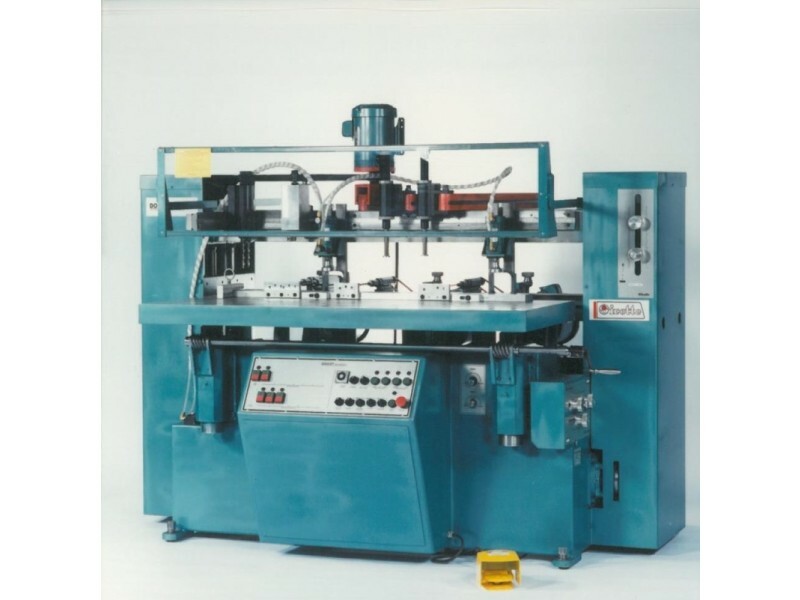 The basic machine includes: main body, spindle carriage having a maximum travel of 8", a 24" wide wooden table of lengths specified below, hydraulic power unit, electrical control system, a 6" stroke feed mechanism for horizontal drilling, two air-operated hold-downs, two spring-loaded hold-downs, cycle foot switch and safety guard.